Aluminium doors are an excellent alternative to uPVC. Their strong nature and sturdy build make them an excellent choice for commercial buildings as well as domestic properties. A highly sustainable building material, aluminium makes a perfect option for a variety of doors including bi-fold, patio or French. We use Smart Architectural Aluminium for our aluminium doors in Peterborough, Cambridgeshire. They are a highly respected manufacturer of aluminium glazing systems. 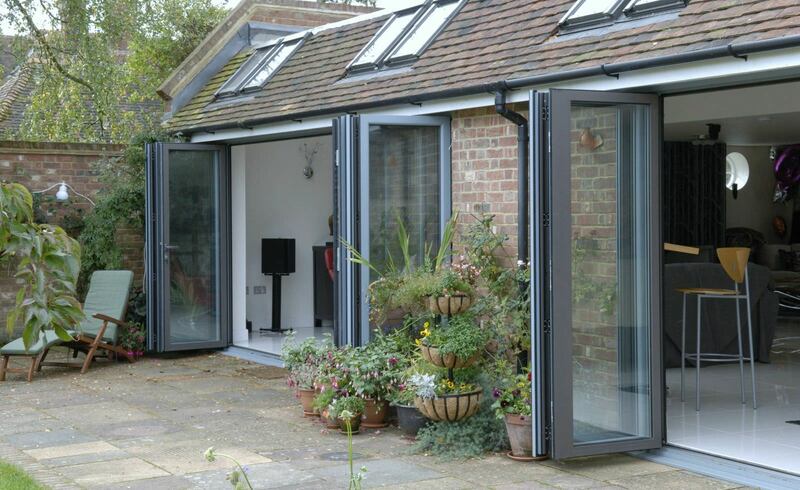 Our Aluminium Bi-Fold doors are one of the most popular aluminium door options. Create a superb open plan socialising and living space to your home in March, Cambridgeshire that is also exceptionally robust, weather resistant and available in practically any colour imaginable. Aluminium Doors are fitted to high quality steel rollers. Due to their perfect weight distribution, and frame design, Aluminium Bi-Fold Doors are by far the easiest door to operate on the market. The working mechanisms of the door are cleverly built into the frame. Keeping them away from harmful and corrosive weather conditions and dirt. 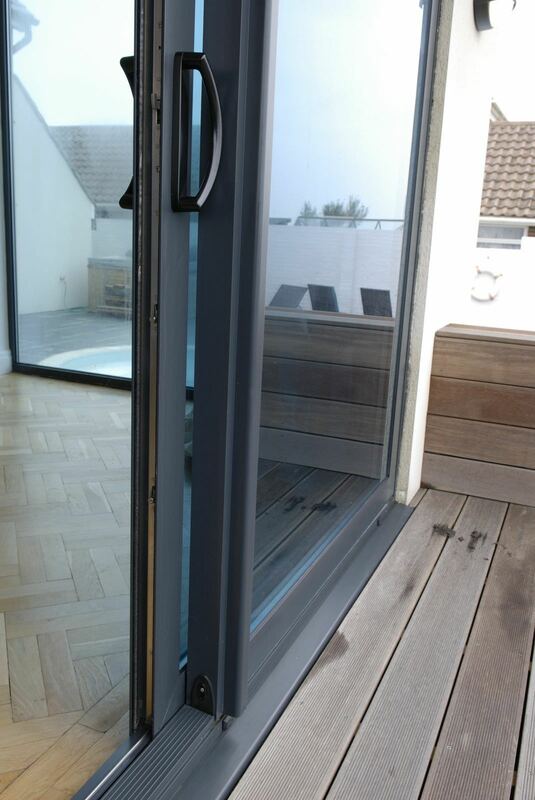 This helps to ensure the Bi-Fold Door remains easy to operate throughout its guarantee, with minimal maintenance needed. A beautiful addition to any style of property, aluminium doors will compliment your home increasing natural light and space. Safety is never compromised with our aluminium doors. Their exceptionally tough nature makes them an excellent option for schools, warehouses or offices that will benefit from increased security. Virtually unbreakable, their strength to weight ratio makes aluminium’s design specifically light and strong at the same time. So why choose aluminium over uPVC? Aluminium has a proven track record of lasting for many years longer than uPVC. An increasingly popular option for new builds, aluminium doors offer a contemporary appearance and aesthetic that will save you money. Aluminium doors are extremely energy efficient. Just like their uPVC counterparts they retain heat and warmth allowing you to save money on heating costs.